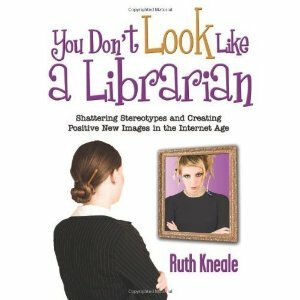 Librarianship is one of those professions that for good or bad suffers at times from an antiquated stereotype. And then there is the belief that librarians are a dying breed because “everything is available on the Internet.” Not so (never will be). The beauty of librarianship is that you can come into the profession from any academic background and find a home that will allow you to tap into your special interests and talents. So in addition to degrees in the humanities, particularly in the academic and special library fields, there is demand for librarians with social science and science backgrounds. Click on the links on this page for the Association of College & Research Libraries, the Special Library Association or the American Library Association (including its Round Tables), and you'll see just how diverse the profession is. So, as you work toward completing your degree at Huntingdon and find yourself wondering, “What am I going to do after I get this diploma?” you might want to investigate a career in the library profession. Librarians are here and we aren’t going anywhere (the classic Kathrine Hepburn/Spencer Tracy movie Desk Set was oddly – and entertainingly -- prophetic). If you have questions, you have four local resources ready to talk with you – the members of your library faculty -- who represent a diversity in undergraduate preparation – secondary education, English, microbiology, and business administration and art. What Types of Libraries Are Out There? There's a type of library to fit any interest when you are considering a career choice. The main types are Academic, Public, School, and Special. The first three are pretty self-explanatory. Special libraries include law libraries, medical libraries, government agency libraries, museum libraries, corporate libraries, theological libraries -- just to name a few. Concentrating on issues related to academic librarianship. Musings of a school librarian. "Timely Ed-Tech talk with sweet snarky freshness." "Putting the rarin back in librarian since 1999." "Three Young Adult Librarians blather about YA literature, YA librarianship, and maybe even the Yeah Yeah Yeahs." Murphy blogs on tech issues to help keep librarians current. So, just HOW diverse is the library profession? Listed below are just SOME of the professional library organizations that you can join and in which you can become actively involved. While the major organization is the American Library Association (which in some ways is an international organization), there are many, many more that reflect the interests of the library world. See the box to the left for a list of some of the special interest Round Tables within the American Library Association. ACRL is the academic/research library arm of the American Library Association. Be sure to click on "Sections" to see the diversity within the Association: Art Section, Law & Political Science, Rare Books & Manuscripts, Women's & Gender Studies, Anthropology & Sociology, are just a few. PLA is the public library arm of the American Library Association. AASL is the school library arm of the American Library Association. Advertising & Marketing, Biomedical & Life Sciences, Business & Finance, Competitive Intelligence, Food/Agriculture/Nutrition, Information Technology, Military Libraries, Museums, Physics/Astronomy-Mathematics, Social Sciences, Taxonomy. And then there are several caucuses, including the Baseball Caucus and the Information Futurists Caucus. How's that for diversity?! A division of the American Library Association, YALSA focuses on issues specifically related to delivering library services to young adults. Below you will find links to just some of the Round Tables of the American Library Association. If you want to become a librarian and want to have as many career options as possible, you will need a graduate degree and will want to select a program that is accredited by the American Library Association (ALA). 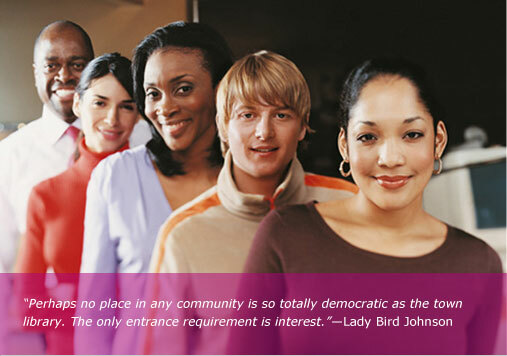 ALA accredits programs in the U.S. (including Puerto Rico) and Canada. At present there are 63 accredited master's programs and 3 programs seeking accreditation, and many offer online course options. Alabama has an ALA-accredited program at the University of Alabama ... see the link below. A good site to use to get a feel for the depth and breadth of the library profession and just how you might find a home here. From the September 2011 issue of College & Research Libraries News. Article by Andy Burkhardt, Catherine R. Johnson, Carissa Tomlinson.